Apply Early starting Oct 1st! We begin reviewing applications mid-October and Interviews begin in December for the following academic year. Apply to University via CalState Apply (Oct 1st - Mar 1st) Hint: Apply Early! 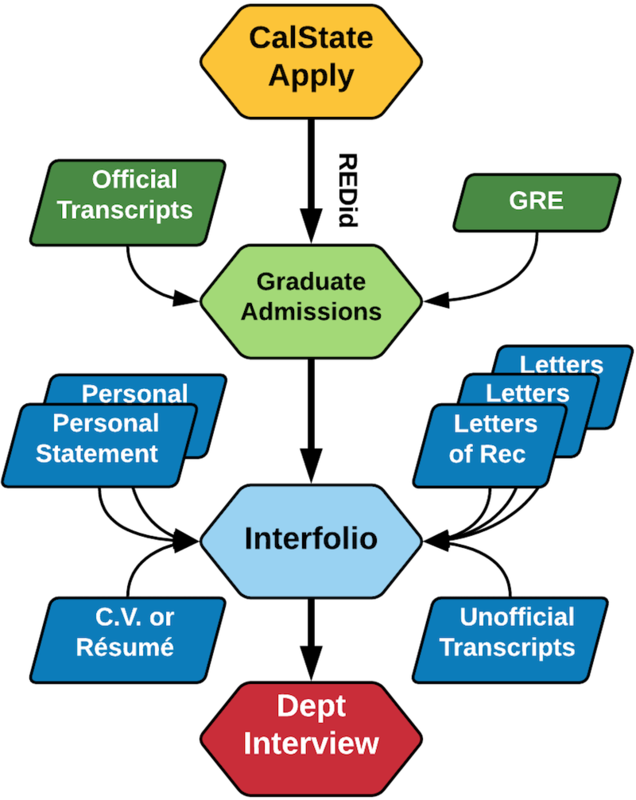 Transcripts & Scores to Graduate Admissions (Oct 1st - Apr 1st) Hint: Send Documents Early! Apply/Upload Supplemental Material at Interfolio (Oct 1st - Apr 1st) Hint: Apply Early! Wait for invitation to interview (Interviews are usually scheduled December-April as applications are completed). We receive a very large amount of COMPLETED applications in Oct-Dec, so apply early!